When you think about Lenzerheide, wakeboarding is not exactly the first thing that comes into your mind. It’s world famous for it’s skiing and mountainbiking. The FIS Alpine Ski World Cup, the infamous Bike Attack all the way from the peak of the Rothorn down to the valley and the recently held MTB World Cup are just three of the world known sports events that take place here. Last summer, something new came to town: a wakeboard lift. It’s in service form mid-August until mid-September and I bet you haven’t been wakeboarding in such a scenic location yet. Surrounded by peaks, the Heidsee lies in a high valley, 1’500 meters above sea level. You might be afraid by the water temperatures, but you don’t have to. The lake warms up to a cozy 22° C during summer. The only thing that bothers a bit is the wind that can get quite cold. But as long as you’re riding, you produce enough heat to stay warm. 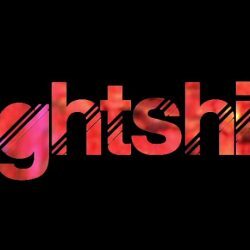 , make sure you’re quick. The spots are filling up fast. Bungee-Surfing Lucerne: Every Monday Morning ep. 41. 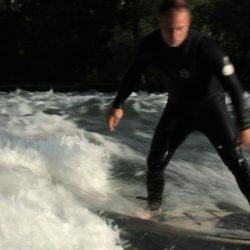 Landlocked surfing in Switzerland, part 3: riversurfing in Bremgarten. Previous Article São Miguel hot springs: where to swim in volcanic water. Next Article The future of Swiss surfing – the dream to build a wave pool in Switzerland.